When illegal aliens become citizens they can buy and own firearms. Democrats and republicans haven't thought about that -- yet. Congress is sure it will find a way to turn the 11 million undocumented migrants into citizens. The Senate has already passed a bill. The House is working on a compromise version. Senator McCain has worked out a solution with a Gang of Eight and is confident he can make it happen. There are even "dreamers" who believe they can find a way to solve the problem for everyone and share the dream with everybody. Republicans hate the idea and figure these people will all vote with the democrats. 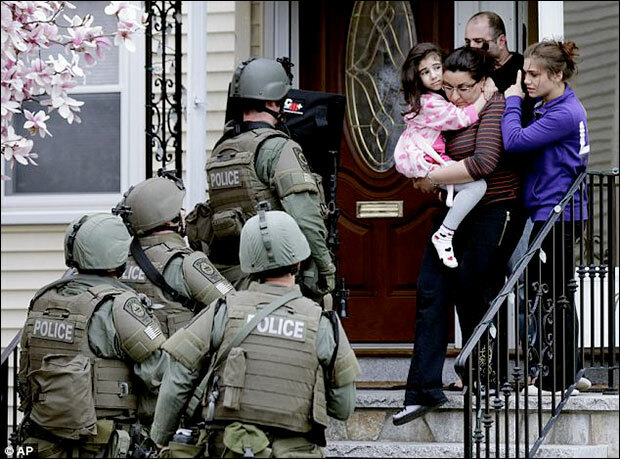 An unexpected consequence is about to hit the gun-rights fan in America. Democrats -- and republicans too -- have failed to recognize the fact that when "11 million undocumented migrants" eventually gain citizenship through so-called comprehensive immigration reform, they simultaneously lose their status as prohibited gun possessors under federal law 18 USC §922g. 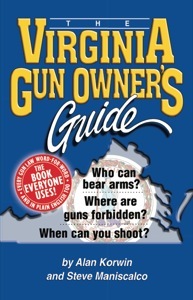 They become an 11-million-person demographic base for new gun ownership -- and membership in the NRA. Illegal aliens are banned from Second Amendment rights. Citizens are not. When Minutemen brought the illegal-alien problem to our attention on Arizona's border in 2004, we were led to believe their numbers exceeded 20 million. The 20 million somehow became 11 million as fluidly as the “news” media changed watermelon juice (what Trayvon Martin bought one fateful night last year) into "ice tea," a politically correct beverage that had nothing to do with that case. The media plays fast and furiously loose with facts. But I digress. Whatever the actual number, they were members of a class, one of nine groups of federally prohibited possessors, banned by that law from owning or using firearms. 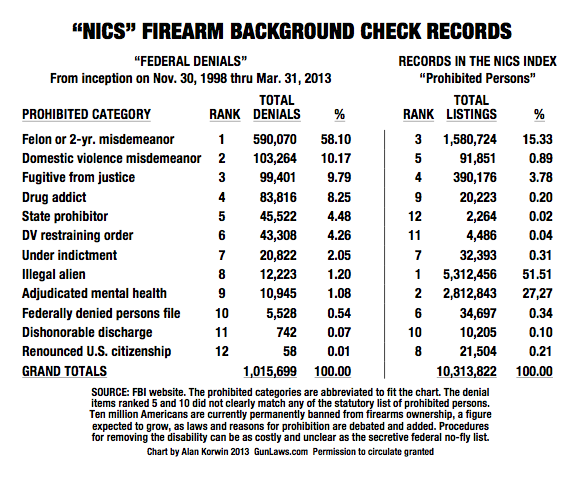 Illegal aliens are the largest single class of people banned from exercising the Second Amendment right to arms, with mental cases and convicted felons in second and third place (see chart). 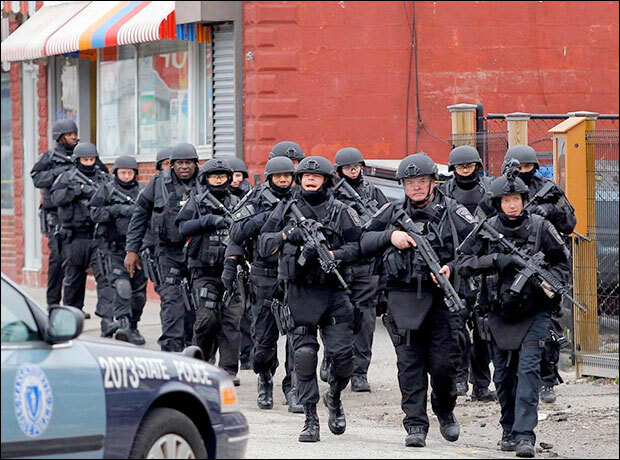 These people are -- at least at this moment -- aliens to the idea of the freedom of firearms ownership. They are used to being treated as virtual slaves in their home countries, where only brutal government thugs and drug lords have guns. And they hate that with a passion. 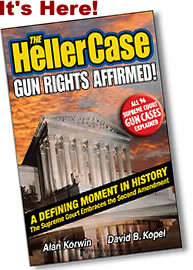 Living here, even in the shadows, they have the protection of some of the Bill of Rights -- no cruel and unusual punishment, the right to judicial process, but no Second Amendment. The Second Amendment embodies one of the greatest freedoms ever devised on Earth. It is embraced by only one political party and shunned by the other, generally speaking. party promoting amnesty, the democrats, are staunchly left against this fundamental freedom. Suddenly former illegals will find themselves able to own guns just like free men and women, as many of their Latino brothers and sisters here currently do. With a little bit of nurturing some of them will find this curiously appealing, and that should be tastefully encouraged, if the best interests of liberty are important. The NRA and every gun-rights group is going to need entire Spanish-speaking divisions. The free market is going to figure this out lickety split once word gets around. 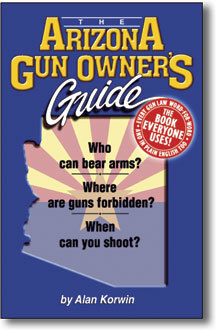 As hard as the left may try to defeat this (and they will), there are gun stores and ranges on street corners all across America, including the barrios, and these will no longer be prohibited places. The "no-negroes-at-the-lunch-counter" mentality will fade out in a heartbeat. Spanish-language signs will spring up everywhere, as a huge new shopping bloc suddenly enters the marketplace. If you think the Obama sales burst was big, this will be off the Richter scale. and it can put republicans in a driver's seat they don't know exists yet. Be that as it may, English-speaking Congress will understand this right away, and it can put republicans in a driver's seat they don't know exists yet. And it's a genie they can't put back in the bottle. The political left will have conniptions, as freedom to keep and bear arms fouls the left's plans for a victimhood coalition it is salivating over. It's more complex than that of course, and no one can fully predict the outcome, but the battle for hearts and minds is game on. Basking in a new light of freedom, as newly freed citizens, these proud new Americans -- at least some percentage of them -- will want to keep and bear arms and experience the freedoms Americans have enjoyed since our Founders established the freest nation the Earth has ever seen. This will be profound. Gun ownership brings us together, it is a unifying force. How great will that percentage be? 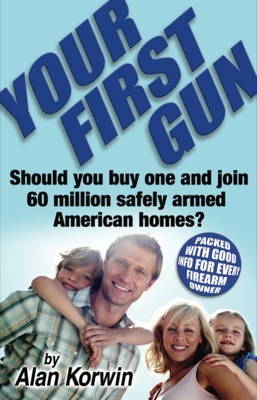 That depends on many things, including the gun-owning public that welcomes them aboard. Out here where I live in The American Southwest, Hispanics share the ranges daily in sweet harmony with everyone else. Gun ownership brings us together, it is a unifying force. We don't exactly sing Kumbaya on the range (with hearing protectors on) but we don't shoot each other either. We're more likely to share guns and ammo like all marksmen do when they're out practicing. It's a sport, and fun, and camaraderie, something hoplophobes can't begin to understand. Although the left is inwardly dancing over the prospect of a new voting bloc of victims, a permanent majority to be led by the onerous Jackson-Sharptons and the takings coalitions, some on the right already believe it would be prudent to undermine this and promote instead the wholesome values America holds dear and that have made the country great -- starting immediately. Minorities are neither monolithic nor led by the same self-deprecating talking heads, and this new huddled mass yearning to be free represents fresh horizons. 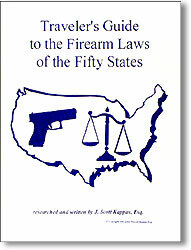 Gun-rights groups at the national, state and local level would be wise to begin developing plans without delay. Will the physical artifacts of freedom -- guns in hand -- hold sway over the incoming masses? Newcomers at shooting ranges have universal reactions -- they smile and ask for more ammo, we've all seen it. Gun culture is not unknown south of the border. Steel-silhouette target shooting, one of the most demanding and thrilling sports, actually has Mexican roots, and siluetas metalicas competition uses Spanish commands: Listo! (ready) Fuego! (fire) Alto! (cease fire). The freedom of gun ownership is a powerful force. Recognizing this as a threat to their hoped-for hegemony, the left may be inclined to shift and propose a limited amnesty, withholding gun rights for (canard alert!) the safety of the children and the community -- can't have those nasty guns, and especially black "assault weapons" falling into the hands of untrained multitudes. (They will continue to ignore the fact that assault is a type of behavior and not a kind of hardware.) The left will be faced with a trap that is a dreaded Dred Scott solution, and this is not without precedent. The ACLU has been seeking ways to reinstate voting rights, and only voting rights, for felons, most of them black, seeing a huge voting advantage at the end of that rainbow. But if a person isn't sufficiently whole to have all rights restored, can they be trusted with the vote? If they're not safe enough as former felons (or illegals) to be entrusted with firearms, can they really be trusted with the more powerful vote on the very direction of the entire nation? Should amnesty follow a similar model from back in 1783, and treat these people as three-fifths of a person? Talk about a rock and a hard place. Can the dems dare label them residents and not citizens, and still figure they can vote? We should promote market-based marksmanship training for the new citizens. All the more reason to propose broadband training for the new citizens -- or even all citizens -- why discriminate? The left has nefariously succeeded in replacing gun-safety training and marksmanship in schools with toaster-cake intolerance. Surely you heard about the small child in Maryland suspended for biting his Pop Tart into what some school "official" thought looked gunlike. When children are punished for thought crimes -- about the only constitutionally protected property in the entire Constitution -- something must be done, educationwise. What an opportunity this provides to suggest a fundamental transformation to the bizarre direction the nation has recently taken. The NRA and similar groups are uniquely positioned to welcome tens of millions of new members when Congress (America?) inevitably accepts currently illegal aliens in some form or another, and these thirty million people currently living here -- we have to sign the bill to find out exactly how many -- somehow make the freest nation on the planet their legal home. Even if the solution is (a) to make them leave and somehow come back through a new immigration program that really works (possibly the most abrasive proposal so far) or (b) simple stroke-of-the-pen "amnesty" (the least politically viable so far), believe it, something will give. 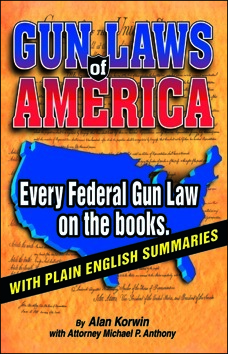 Whatever Congress eventually decides upon, the loss of prohibited-gun-possessor status, and expansion of the Second Amendment right to arms for millions is a step forward for freedom, and that's a good thing. Republicans, who thought democrats had the amnesty/immigration thing all sewn up, will find that the gun-rights issue gives them an unexpected bargaining chip. It just does. Democrats can't support gun rights without alienating their base. Anyone who cares about their right to keep and bear arms -- especially their newly acquired right -- will find that the donkey party stands in opposition to this fundamental freedom. And the only champions of this precious right that sets free people apart from slaves are not the people pushing amnesty with dependency, big government, welfare and food stamps. Proud people yearning to be free have a lot of thinking to do. They walked across miles and miles of blazing snake-infested desert seeking freedom to get here. You can't arm slaves and expect them to remain slaves. By Dave Collins. HARTFORD, Conn. (AP) — A plan by Connecticut officials to withhold some Newtown school shooting records from the public would be another blow to government transparency, which has taken hits in other states in recent years, advocates for freedom of information laws say. The proposal is in a bill privately crafted by Gov. Dannel P. Malloy's office, the state's top prosecutor and legislative leaders. It would allow authorities to withhold from the public photographs, videos, 911 call recordings and other records depicting the physical condition of any victim of the Dec. 14 shootings, unless the family gives written permission. The legislation would bar the release of emergency responders' audio transmissions... The bill also would limit disclosure of the death certificates of the 20 first-graders and six educators killed in the attack... Media groups and advocates of public records laws worry... They also question the bill being drafted in secrecy and not being subjected to the public hearing process like other bills are... "If you hide away documents from the public, then the public has no way of knowing whether police have done their jobs correctly," said Sonny Albarado, city editor at the Arkansas Democrat-Gazette and board president of the Society of Professional Journalists, a free press advocacy group based in Indianapolis. "It sets a tone where it makes it easier to hide other things, and the public suffers, in my view," Albarado said. "Obviously, the mass murder of 26 people is a very horrific crime. But 26 people die regularly in most large towns within a few weeks or within a few months and we don't express the same kind of horror and we don't afford those victims or the perpetrators any kind of anonymity." "I've seen a gradual sea change ... toward more people asking questions about why should the public have access to information instead of why shouldn't they," Murphy said. "We forget why we have these laws. Any record created by government belongs to the people." The effort by Sandy Hook officials to hide evidence from the Sandy Hook massacre only accents the questions that were never answered about this stunning crime that led to calls for suppression of the Second Amendment. It is good, in a perverse sort of way, that government is attacking the First Amendment rights of the press, because this wakes up the "news" media, who are otherwise surprisingly content to let government abuse pass unchallenged. Let the slightest infringement of their rights surface, and the outrage knows no bounds, a good outcome for freedom, even if it is a double standard and hypocritical. Early reports indicated the murderer used four handguns, found at the murder scene, to perpetrate the atrocity. Later, the "news" was changed to blame so-called "assault rifles," which police originally said were found unused in the criminal's vehicle. A news conference was convened outdoors for the chief medical examiner, surrounded by state police officers. Normally, such a news conference would be held at the hospital, with the doctor surrounded by other doctors. The doctor, who claimed with pride to have experience and seniority over all the other medical personnel, and who had performed examinations of the victims, could not or would not identify the caliber of the bullets used. He stuttered and stalled in failing to reveal this simple and critical piece of information. All of the rounds, scores of them, if the "assault rifle" story was accurate, would have been easily recognizable .223 caliber rounds. No explanation was ever given for this disjoint in the handgun (initial report) and "assault weapon" (refreshed report) version of the story. "Assault weapons" were viciously attacked by the media and some members of Congress afterwards, using the crime for leverage. "An Internet scouring program, code-named PRISM, allows the NSA and FBI to tap directly into nine U.S. Internet companies to gather all Internet usage — audio, video, photographs, emails and searches. The effort is designed to detect suspicious behavior that begins overseas," according to the Associated Press, according to British newspaper reports. "Any analyst at any time can target anyone. Any selector. Anywhere. Where those communications will be picked up depends on the range of those sensor networks and the authority that that analyst is empowered with," Edward Snowden said, a former CIA employee and NSA contractor, in accompanying video on the Guardian newspaper's website. "Not all analysts have the power to target anything. But I, sitting at my desk, had the authority to wiretap anyone, from you or your accountant to a federal judge to even the president if I had a personal email." Anyone who thinks the Internet is not an open party line directly to the government is an idiot. More than a decade ago the Echelon and Carnivore programs were exposed as direct taps of everything flowing through the web, filtered by government agents, for "national security purposes," which could mean anything. This is just the latest version of that. The fact that a whistle blower has once again come out to say the same thing is almost meaningless. An intelligence official saying this has done damage is pointless. Everyone in the spy community, diplomatic community, geek community, political community, even people of average intelligence know this. Nothing secret is revealed. If you have information you don't want the government to know, you don't write about it from your computer. Even jihadi warriors living in caves in mountains know this, after getting drone bombs dropped on them. The "news" media should be ashamed of itself presenting this as news. Any expectation that these gross violations of Fourth Amendment or other constitutional protections will lead to jail or repercussions should be abandoned, because they won't. We would also be wise to heed to words of the man currently in the White House ("You can't have 100% security and then also have 100% privacy and zero inconvenience"), because Big Brother arrived long ago, and he is not about to leave anytime soon. This doesn't surprise Page Nine readers, does it? Like many others working in the spy community, Snowden was freaked out by the degree to which officials could do anything and get away with it without controls. He simply had the cojones to say something about it. He is now being investigated for criminal charges. "My sole motive is to inform the public as to that which is done in their name and that which is done against them," Snowden told the newspaper. The AP reported he hoped Obama's election would curtail some of the clandestine programs. He said he was disappointed that Obama did not rein in the surveillance programs. Two final notes before you get real angry at me for saying this. First, all any of you know about this is what you learned in the "news" and you know how accurate that is. Second, the president, attorney general and members of Congress should know better than to call a person a traitor on TV -- because that requires a trial, and according to the Constitution, two witnesses (Art. III, Sec. 3). Who were the witnesses again? I missed that part. Echelon, Carnivore and similar "packet sniffing" programs are among many government and commercial programs developed to read everyone's email and web surfing habits to look for keywords, data strings and behavior that may mean you're up to no good. This was first revealed as far back as 1997, got quite hot by about 2005 and has been recognized as an accepted practiced by anyone who is anybody since then. How far it has gone, what it has accomplished, who is using what version currently, and which nations are how far along is the stuff of spy novels and rumored assassinations. It is no secret that all nations are constantly cyber attacking each other an accusing each other of dirty tricks. To fight back against presumed cyber-snooping, some patriot, monkeywrenching, survivalist and left-wing anti-government groups have developed countermeasures to government privacy invasion campaigns. Among these are attempted "filter overload" efforts, which seek to incapacitate various snooping programs by feeding them more search terms than they can handle. A list of purportedly valid trigger terms is attached to emails and posted on websites to throw off the spies. A sample list looks like this. It is not known how well such tactics work, but it is an interesting approach, with backfire potential, since it could prevent defense agencies from identifying real threats. Hi Alan, I'm pleased to answer, thanks for asking. 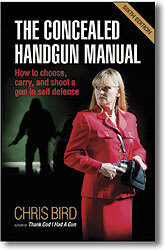 I listened to you on ARMED AMERICAN RADIO yesterday evening here in Salem, Oregon on 1430am KYKN. I'm very interested (actually alarmed) at what's happening to our 2nd Amendment, therefor am trying to learn and educate myself so I can fight to keep this most important, God given civil right that we require to protect ourselves. It's frustrating, and I sometimes feel hopeless - I live in a state with very liberal politicians - so I need encouragement and direction too. David L.